Meet some of the people whose passions for their work shine through their accomplishments. 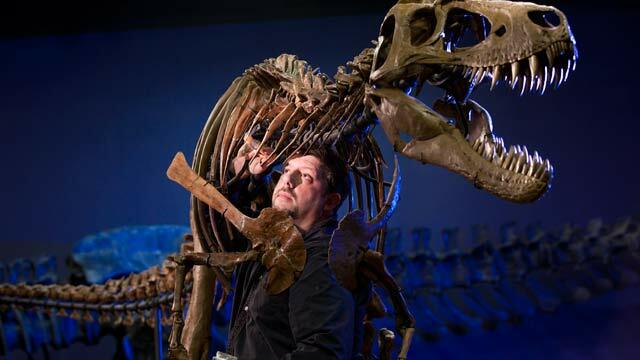 Scott Williams, 31, director of exhibits and science at Burpee Museum of Natural History in Rockford, has a passion for dinosaur fossils and sharing them with children. He knows how essential it is to connect kids with science at an early age, because that’s how he began. In 1999, while working as a sheriff’s officer, Williams funded and helped to lead the crew that discovered famous Jane, the world’s most complete juvenile Tyrannosaurus rex, in southeastern Montana. The dinosaur rekindled his first love, and Williams soon joined the museum staff. Erich Schulze, 49, part owner of Northern Prosthetics & Orthopedic Inc., Rockford, has a passion for getting patients back on their feet – literally. Amputees, stroke patients and people with disabilities all benefit from the custom devices he designs and builds in his lab. At age 16, Schulze began assisting his father, Herb, who founded the company. Today, he’s a certified prosthetist, orthotist and pedorthist, and his field has advanced light-years from the belts and straps he once built. With today’s technical advances, however, there’s little he can’t accomplish. Durable, aircraft-quality materials and colorful cosmetic touches make orthopedic appliances more comfortable and attractive than ever. He recalls one particular patient who was fitted for an improved, more comfortable prosthesis, after relying on older types for 45 years. This entry was posted on Thursday, May 24th, 2012 at 11:59 am	and is filed under Genuine Northwest. You can follow any responses to this entry through the RSS 2.0 feed. Both comments and pings are currently closed. That is great. However, I hope that I never need one.